When William became a student nearly six years ago, he could only write his name and sing the alphabet. His supervisor brought him to our office because he wanted to learn how to read. She told the Literacy Action staff that he would never be able to learn because he was only able to write his name. Three years later, he wrote a letter to thank her for helping him find a tutor. He practiced for weeks with his tutor until he could read the letter out loud. He wanted to show her the progress he made and how grateful he was for helping him. William was born in southeast Arkansas in the small town of Montrose. His family moved to Little Rock when he was 11. William explains that he was placed in “special education” all the way through high school. His “favorite and best teacher”, he says, was “Mr. Johnson in 8th grade who taught him how to write his name.” William graduated high school and received his diploma, but could hardly write more than his name. 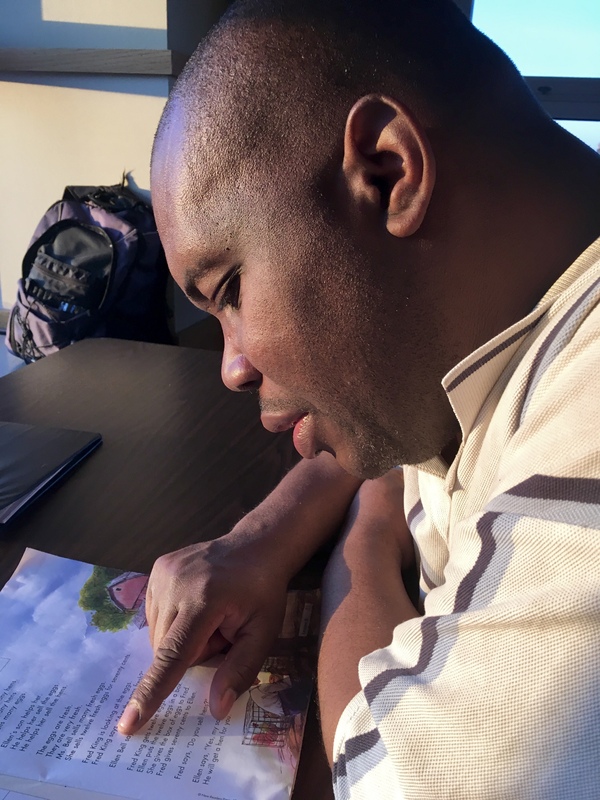 Over the years, William has had a number of jobs to support himself: a janitor’s assistant, a dishwasher at St. Vincent’s, a grocery store produces stocker, and a sandwich maker at McDonalds. He also earns extra cash by collecting aluminum cans he finds on the street. At 45 cents per pound, he had enough cans to earn nearly $1,000 in three years! For the past few years, he has had a steady job as a bus monitor, which is when he started to be tutored. William’s job is to keep students peaceful and quiet, so the bus driver can focus their full attention on driving. His tutor, Pratt, has been working steadily with William since he started in 2012. Every week they meet between 1-3 hours. William continues to have the energy and desire to improve his literacy. He is able to identify letter sounds and words with more ease, and he has started reading short stories! William’s story is truly one of inspiration. Imagine how discouraging it would be for someone to tell you that you would never learn how to do something that you wanted to do. We want to give a special thank you to Pratt for volunteering his time to teach William. William, your success, bravery, and determination is one that will inspire others who want to take the next step in their education. We can’t wait to see how your life will change as you continue to improve your literacy!